The journal invites papers that take a comparative or experimental approach to behavior and neurobiology, functional morphology, evolution and development, ecological physiology, and cell biology. Due to the increasing realization that animals exist only within a partnership with symbionts, Zoology encourages submissions of papers focused on the analysis of holobionts or metaorganisms as associations of the macroscopic host in synergistic interdependence with numerous microbial and eukaryotic species. personalized link providing 50 days free access to the final published version of the article on Science Direct. 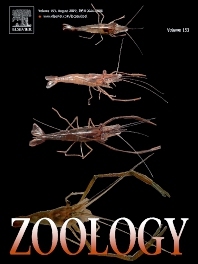 Zoology invites suggestions for special issues. Interested parties may contact one of the editors.